Activation Ceremony of the Austronesian Forum took place at the Grand Hotel on the morning of August 1, with 12 member present, including Republic of Kiribati, Republic of the Marshall Islands, Solomon Islands, Republic of Nauru, Tuvalu, Republic of Palau, New Zealand, Republic of the Philippines, Malaysia, Republic of Indonesia, Territory of Guam and State of Hawaii. President Tsai Ing-wen spoke at the activation ceremony, and Hilda Heine, President of the Republic of the Marshall Islands also spoke at the ceremony to show her support. 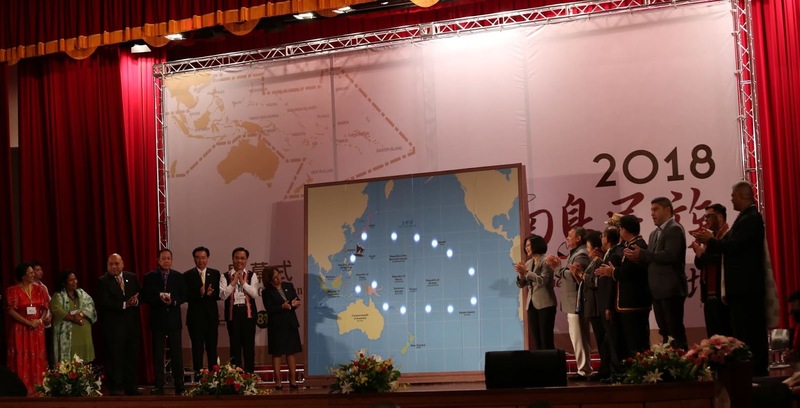 In President Tsai’s speech, she mentioned her visits last year to the Marshall Islands, Tuvalu, and Solomon Islands, as well as making transit stops in Hawaii and Guam. During that trip, she felt the extensive shared cultural heritage between the indigenous peoples of Taiwan and people of the Pacific region. President Tsai also wishes that through shared language and culture, Austronesians can engage in greater dialogue, and work together to care for our heritage. Austronesians can also engage in closer cooperation to assist each other in reaching sustainable development, pool resources and collaborate to nurture the talents required for the sustainable development of the Austronesian peoples. President Tsai also pointed out that over the past two years, the government has put into practice pledges made on that day. At the Office of the President, we instituted an Indigenous Justice Committee, while at the Executive Yuan we have established a promotional committee for the Indigenous People’s Basic Law. 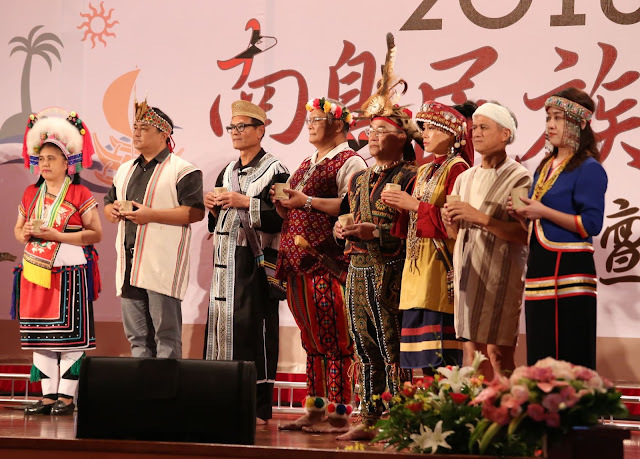 The Legislative Yuan has already passed the Indigenous Languages Development Act, according national language status to a number of indigenous languages. Cooperation between the Judicial Yuan and the Legal Aid Foundation has also seen the establishment of the Indigenous Legal Service Center with a high degree of cultural sensitivity. Furthermore, President Tsai emphasized that one essential piece of work still remains if we really want to see justice achieved in full—and that is education. Experimental schools for indigenous children are currently being opened one after another throughout Taiwan. I have asked related agencies to support the development of our indigenous peoples’ educational system to the greatest extent possible. The children of these communities have the right to learn within their own cultural environment and receive the comprehensive education that meets people’s expectations. During President Heine’s speech, in addition to supporting and congratulating the Austronesian Forum on its activation, her excellency further stressed that traditional and modern can co-exist. We can learn from our common indigenous past, wisdom that is rooted in our unique experiences spanning thousands of years, to face the issues at hand, especially in regards to the issue of climate change which has already imposed tremendous impact on our lives. President Heine pointed out that even though many denies its existence, as an island nation, climate change has in fact seriously impacted our land, our ocean and our Mother Earth. President Heine appeals to the fact that in order to save our future, we have look to the past and retrieve our traditional wisdom. Regarding the activation of the Austronesian Form, Minister Icyang‧Parod of Council of Indigenous Peoples said that the Austronesian Peoples is a family formed by similar languages. Since the 1980s, scholars have claimed that Taiwan is the cradle of the Austronesian Peoples, Jared M. Diamond pointed out that, in his journal Taiwan’s gift to the World published in 2000 in Nature, approximately 5,000 years ago, the indigenous peoples in Taiwan began spreading their languages across the vast region between Easter Island and Madagascar, becoming the Austronesian Peoples speaking a common language, and that is Taiwan’s most valuable gift to the world. Minister Icyang pointed out that it is precisely based on the intimate connection shared by the same origin, Council of Indigenous Peoples began hosting the International Conference of the Austronesian Peoples in 2003, inviting experts and scholars around the world to Taiwan to explore the common issues faced by the Austronesian Peoples, including climate change, food safety, community good governance, ethnic education, land governance and cultural assets. In 2008, the Austronesian Forum was established with Republic of Kiribati, Republic of the Marshall Islands, Republic of Nauru, Republic of Palau, Solomon Islands, Tuvalu, Republic of the Philippines and New Zealand as founding member, through this permanent organization, the Austronesian Peoples are bridged to realize the goals of democracy, good governance, human rights and sustainable development. This year, 4 new member are added, including Republic of Indonesia, Malaysia, Territory of Guam and State of Hawaii (List of members as attached). 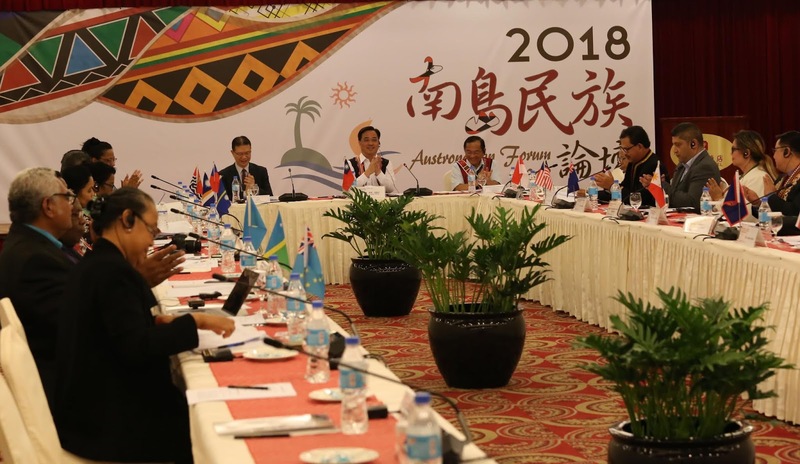 Council of Indigenous Peoples further pointed out that after the activation ceremony, Forum member delegations continued with a roundtable meeting, discussing the Charter of the Austronesian Forum and future working projects, and decided that the Headquarters of the Austronesian Forum will be established in Palau with the Secretariat in Taipei. 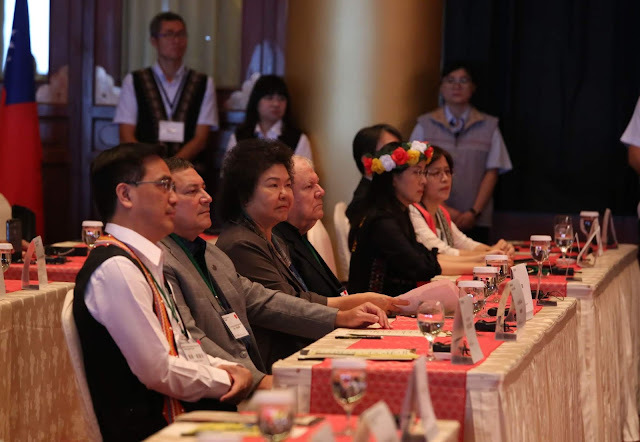 Council of Indigenous Peoples further explained that in 2019, efforts will be focused on language and cultural exchange, women’s skill workshop and youth empowerment, Austronesian museum or cultural organization exchanges will take place, as well as organize in Taiwan group exhibitions of Austronesian artists. To address future requirements of the Austronesian Forum, Council of Indigenous Peoples will be drafting mid and long-term plans to report to the Executive Yuan. Finally, Minister Icyang said that on the surface, it seems that the ocean separated the Austronesian Peoples, but it is actually the ocean that connected the Austronesian Peoples, and for thousands of years, the ancestors of the Austronesian Peoples sailed the vast ocean and interacted with one another. Today, we activated the Austronesian Forum, we will reconnect the long interrupted maritime historical and cultural memories of the Austronesian Peoples and establish substantial relationships among the Austronesian Peoples.